Starting Oakland Raiders wide receiver Amari Cooper this week will be vital to your team’s success, and I’ll even name him my Start of the Week. Cooper has been an extremely reliable option at wideout thus far, and the last few weeks are proof of that. In his last three weeks, Cooper has been targeted 31 times. This number makes it very intriguing to play him, considering the recent success of Raiders quarterback Derek Carr (who should be started as well). The Detroit Lions defense have given up at least 73 yards to seven out of the nine top receivers they’ve faced this season, so Cooper is expected to have a big day. It’s been a while since Danny Amendola was a reliable fantasy wide receiver option. You’d have to go back to his days in St. Louis to compare the hype that he’s been getting this week. Amendola will have the opportunity to return that level after the losses of pass catching running back Dion Lewis and wide receiver Julian Edelman. This obviously gives a major boost to a player like tight end Rob Gronkowski, who will certainly see an increase in targets. I’m looking at Amendola to step up though, especially after having 10 catches last week. I’d definitely play Amendola as a flex this week. This week marks the return of Dallas Cowboys quarterback Tony Romo to the starting lineup. Not much to say here. He’s going to have a nice day against a struggling Miami Dolphins team. Indianapolis Colts wide receiver Donte Moncrief is my buyers beware player of the week this week. Of the five touchdowns that Moncrief has this week, every one has been from quarterback Andrew Luck, who is prepared to come back in mid-December. The last time that Matt Hasselback started for the Colts, Moncrief had just one catch. Plus there’s the fact that the Falcons have been great against opposing wide receivers. I’d keep Moncrief on the bench, as you probably have a better option. Happy Halloween! We’ve taking the Take it to the Bank report this week and giving it a Halloween feel with today’s section: Trick or Treat! Use this section as you look to this week and beyond as you set your fantasy football lineups. Yes, many people had Jamaal Charles in their running back slot and are looking to West to produce. Yes, West had a big game last week, rushing for 110 yards and a touchdown. Yes, I did say to pick him up (and he should be picked up), but I’m not that big on him. This player is not a RB1, and I’m not sure he’s a reliable RB2 option. You can’t judge a book by its cover, and you can’t judge West by one big game. He’ll probably have a good game this week, but don’t expect huge numbers every week. Gurley owners that stuck through the thick and thin are now grinning at the results. Gurley has been the league’s most productive player, especially in an offense that has become run-heavy. Continue to enjoy Gurley having big games almost every week. The Cowboys are an interesting story. Yes they took a heartbreaking loss to the Giants last week, letting the Giants return a kickoff for a touchdown just after tying the game. But they also found new life in running back Darren McFadden. With Joseph Randle possibly out for a few games due to violating the NFL’s personal-conduct policy, the Cowboys will look to McFadden, Christine Michael and Rod Smith. Flashback to a week ago when Jason Garrett planned on making Michael the starter. Yeah, so that didn’t happen, and you can look elsewhere for a better running back on your team. McFadden however is a flex play at best this weekend as the Cowboys welcome in the Seattle Seahawks, so don’t be tricked by last week’s big performance. The Jets are another interesting story. The offseason changed everything for them, bringing in cornerbacks Darrelle Revis and Antonio Cromartie, along with wide receiver Brandon Marshall and quarterback Ryan Fitzpatrick. Many members of the New York media propelled them to Super Bowl contenders. Then the season came, and Geno Smith got punched in the jaw by his now-former teammate I.K. Enemkpali, sending the Jets predictions out the window. There was no way that Ryan Fitzpatrick could pick up the pieces right? Wrong. The Jets headed into New England last week at 4-1. They played till the final whistle and although they sit at 4-2, look at their schedule. Eight out of their remaining 10 games come against teams that are currently at or below .500 and that should be looked at closely. Fitzpatrick should be looked at if he’s still available in your leagues, and Brandon Marshall and Chris Ivory should be starting in your lineup. The defense should be starting most if not all weeks. 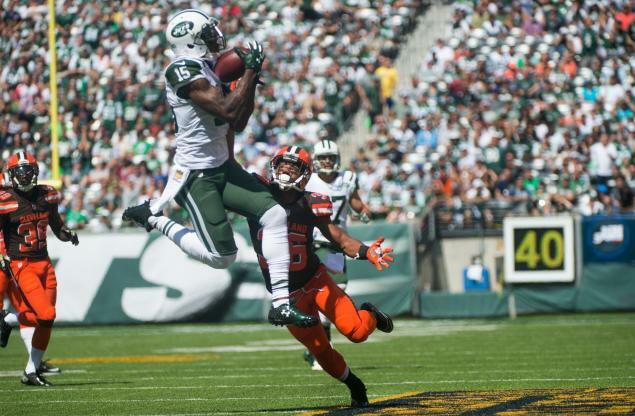 If you want that sneaky play, look to Eric Decker, as teams are focused on stopping Brandon Marshall. While I’d like to stick the entire NFC East in the tricks section, I’m not going to do that because I’m not that mean. But I will stick the Giants in here with the Cowboys because of their fantasy impact. I understand that the team is 4-3, but with a lot of tough teams (looking at you AFC East and Carolina Panthers) coming up on their schedule, it’s not really an ideal situation. I definitely do not trust any of the Giants running backs, and other than Odell Beckham Jr., I don’t trust any of their wide receivers. I’d consider Ruben Randle in deeper leagues, but only if you don’t have other options due to the bye week. Quarterback Eli Manning certainly cannot be trusted in fantasy leagues, compiling just 14 fantasy points in ESPN standard leagues over the last two weeks. I’d look elsewhere for impactful fantasy players. So Antonio Gates came into the season off a four game suspension, and immediately made a major impact. Gates had two touchdowns in his first game back, and has had 90+ receiving yards in both games that he has played in. But with a sprained MCL, the Chargers looked to Ladarius Green and he has been contributing all season. Quarterback Philip Rivers loves to throw to his tight ends, and while Gates is taken in most leagues, Green isn’t so pick him up now. 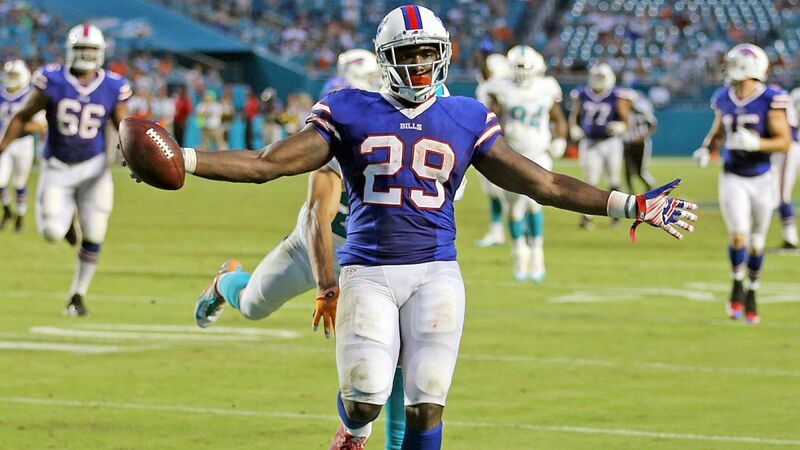 With LeSean McCoy out, Rex Ryan turned to running back Karlos Williams, who led the Buffalo Bills with 110 yards and a touchdown on 12 carries. He’ll be back there again this week at home against the New York Giants and is going to have another big game. Speaking of the Giants, week three saw the reemergence of wide receiver Ruben Randle. We all knew what he could do at his best, but it took a few weeks for Randle to get back to himself. He finished last week with seven catches, 116 yards and a touchdown. Don’t expect this kind of performance every week, but every now and then, Randle will go off. Up to this point, the league’s top wide receiver has been Atlanta Falcons wideout Julio Jones. In three weeks, he’s had 34 catches for 440 yards and four touchdowns. Not bad, huh? This is the guy to break the bank on if you’re looking to make a blockbuster trade in your league. Fantasy owners, keep riding Julio, who has no intentions on having any ordinary appearances. Arizona Cardinals running back Chris Johnson came out and looked like the Chris Johnson of old. Not the guy we saw with the New York Jets. Nope. Johnson looked like he was back on the Tennessee Titans, carrying the ball 22 times for 110 yards and two touchdowns. Johnson also had a 40-yard catch that almost went for a touchdown. While I’d only take Johnson in deeper leagues, Cardinals head coach Bruce Arians has said that Johnson will start this week no matter what the status of Andre Ellington is. It’s a situation worth monitoring over the next few weeks. We’ll begin with the question brought up recently in Wisconsin. Can quarterback Aaron Rodgers win a Super Bowl without top target wide receiver Jordy Nelson? The short answer is yes. The Green Bay Packers are extremely deep and Rodgers is still going to be one of the league’s top quarterbacks. Rodgers still has top wide receivers in Randall Cobb and Davante Adams, along with a fantasy sleeper pick in tight end Richard Rodgers. But wait, there’s more! Running back Eddie Lacy is the top fantasy pick out there in my opinion and will help Rodgers power this team deep into the playoffs. Tight end Jimmy Graham was shipped out west this offseason and joins a hungry Seattle Seahawks offense, which fell one yard shy of a Super Bowl title last season. Will the offense succeed? Yes. But don’t expect Graham to put up the numbers that he did in his time with the New Orleans Saints. Thanks to running back Marshawn Lynch, the Seahawks will run the football A LOT. 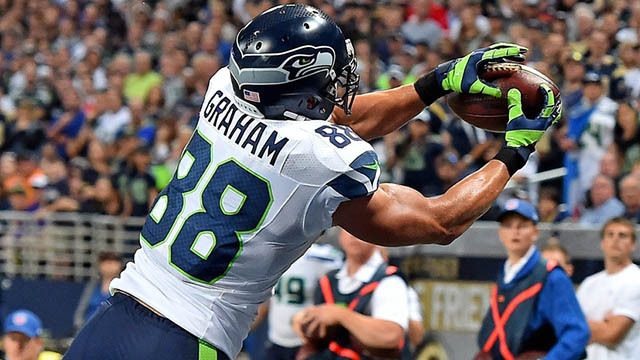 New Orleans ran a very pass heavy offense and that is where Graham found his success. I’m not saying to beware of Graham in fantasy because he’ll still be reliable, but I will say don’t overvalue him. The last year has been a shaky one for New York Giants quarterback Eli Manning but I think that we’ll see the Eli of years past this season. I’m not saying that they’re Super Bowl bound, because the Giants still have some work to do, but it’ll be a noticeable improvement. Wide receivers Odell Beckham Jr., Victor Cruz and Ruben Randle (a sleeper that you should take in the last round of your draft) and tight end Larry Donnell give Manning an arsenal of weapons to throw to. With no clear cut top running back, look for Eli to throw the ball more and return to his old self this season. The Houston Texans D/ST is definitely a unit that you want on your team if you can’t grab the Seahawks defense in your draft. 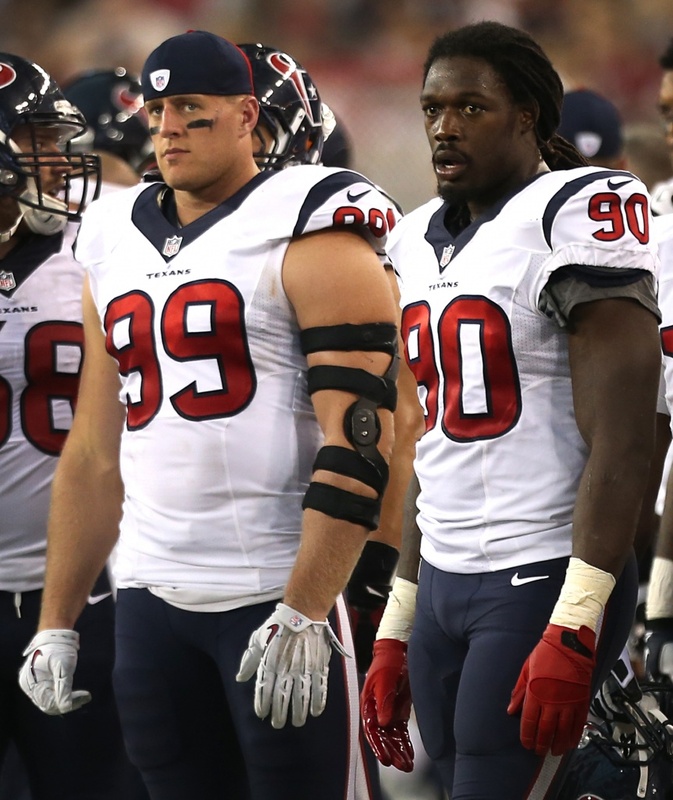 With defensive end J.J. Watt and outside linebacker Jadeveon Clowney rushing from either side, this defense is scary. I’d also take a look at the New York Jets defense if you can’t get Houston or Seattle due to their stacked offensive line and upgraded secondary. I am putting this in writing. 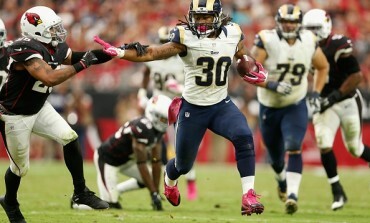 Todd Gurley will be a great addition to any fantasy football team. He’s slipping in fantasy drafts due to the torn ACL he suffered last November, but as the saying goes, buy low and sell high. I managed to grab Gurley at pick number 86 and for good reason. The St. Louis Rams going to be back in action around week four, and should be a force for the rest of the season. Take him on your team, sit him on the end of your bench while he’s out, and then you’ll have the last laugh come playoff time in your league.